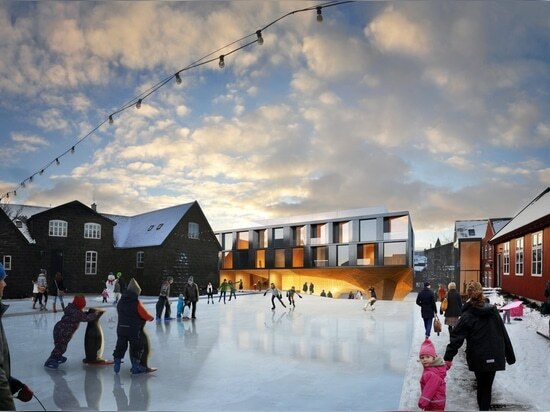 Its design taps into the Faroese landscape to present an iconic, locally-inspired heart of new activity in the city center. 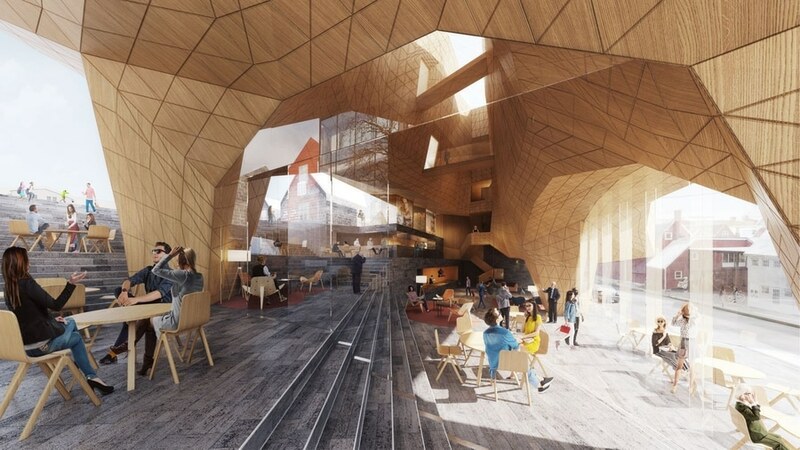 Hotel Tórshavn’s expansion introduces a public grand foyer and a broad staircase connecting the streets, designed as a meeting point and pedestrian thoroughfare for local and international visitors. 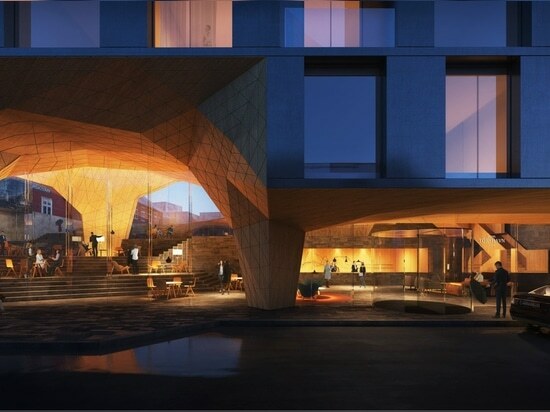 For Ósbjørn Jacobsen, Partner and Design Director at Henning Larsen’s Faroese studio, the design concept draws on Faroese roots to create a hotel that reflects its local connections. 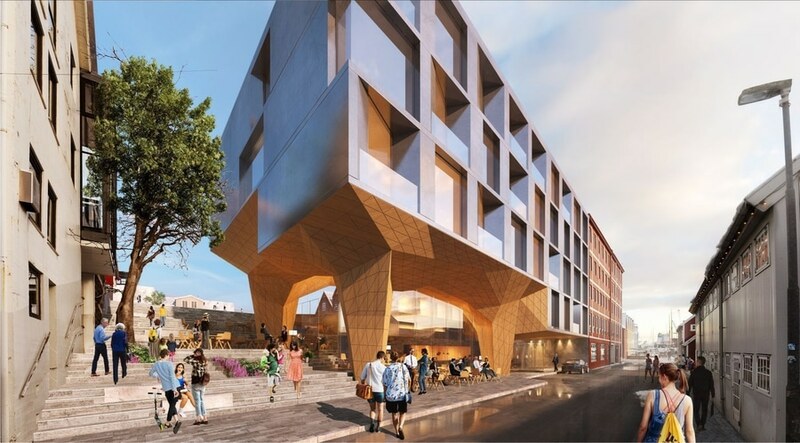 Part renovation and part expansion, the design refreshes the interior of the existing Hotel Tórshavn while adding a new wing on an adjacent lot, anticipated as around 100 rooms in total. 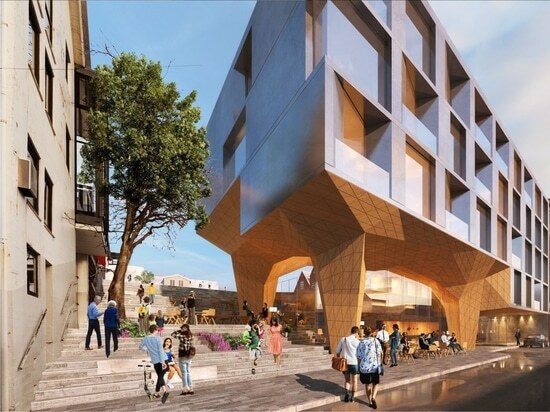 Henning Larsen’s 4,500 m2 proposal upgrades the hotel from a three-star to four-star establishment, and positions the building as an accessible pedestrian thoroughfare between two of the city center’s most active streets. Hotel Tórshavn responds to the Faroe Islands’ recent emergence as a global tourist destination. Following the Faroese tourist board’s 2012 commitment to double the country’s number of overnight stays and annual tourism revenue by 2020, the islands’ air- and seaports have routinely broken standing records in tourist traffic. 2016 saw over 60,000 arrivals by cruise ship, up from around 30,000 in 2010. In 2017, the Faroe Islands’ only airport recorded a 25 percent rise in arrivals by the beginning of tourist season. 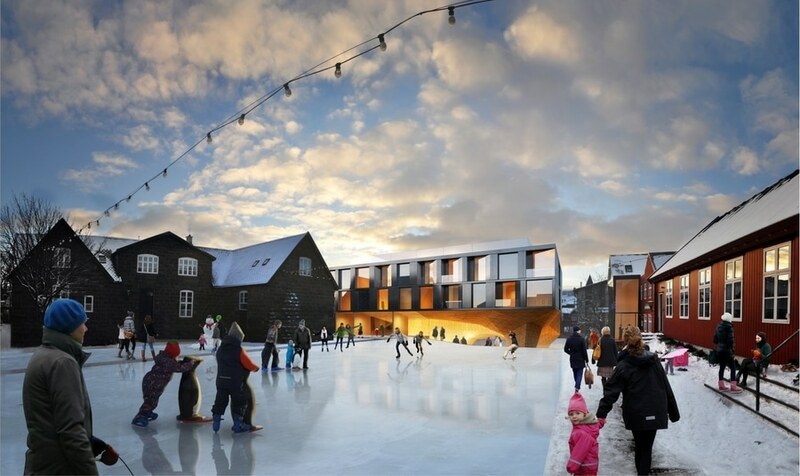 Hotel Tórshavn delivers a boost to overnight capacity in the city center, further encouraging the country’s growing tourism industry. 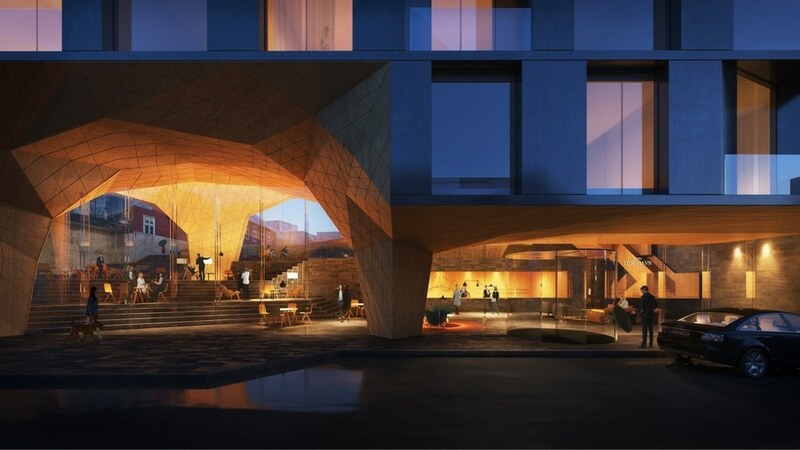 As the Faroe Islands explore a developing role in global tourism, Henning Larsen’s concept for Hotel Tórshavn anticipates new visitors while benefitting longtime residents. 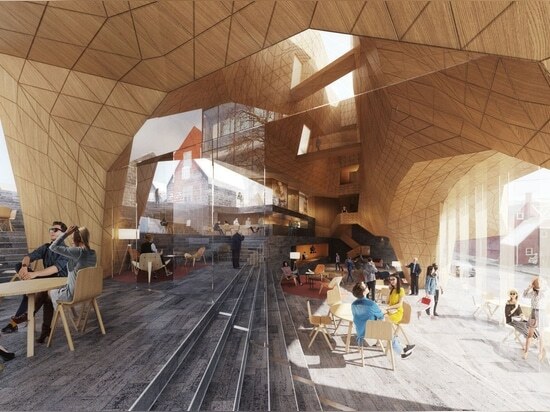 The design rises as a new landmark in an emerging hotspot, standing as an inviting icon for guests and an active commons for Tórshavn’s locals. Source and images Courtesy of Henning Larsen.